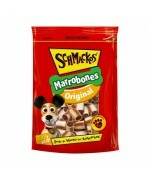 Bite-sized SCHMACKOS Marrobones have a delicious meaty centre wrapped in a crunchy oven-baked biscuit shell. 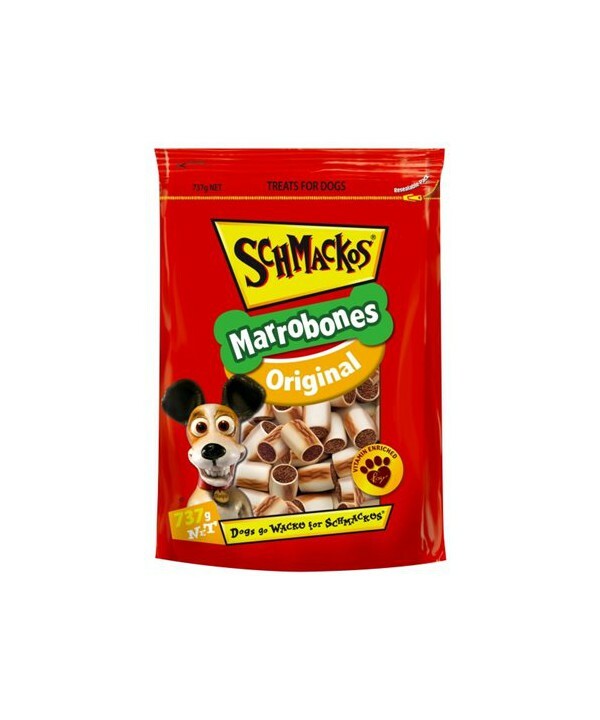 Enriched with Vitamin A, D and E. The perfect training treat for small dogs. Not suitable for puppies under 6 months of age.